To say that The Lions are icons in Southwest BC would be an understatement. These two striking mountains can be seen from many locations around Vancouver and they stand as landmarks that define the skyline that this Canadian city is famous for. Their name is believed to have originated from their appearance at sunset when they glow orange and yellow during alpenglow. Vancouver’s Lions Gate Bridge was named in honour of them as well as the town of Lions Bay. The notoriety of these peaks inspires many to venture out and attempt to hike up to them, with some experienced individuals choosing to scale to the top of one of them known as the West Lion. The Marcel Andrie Memorial Bridge over Harvey Creek. 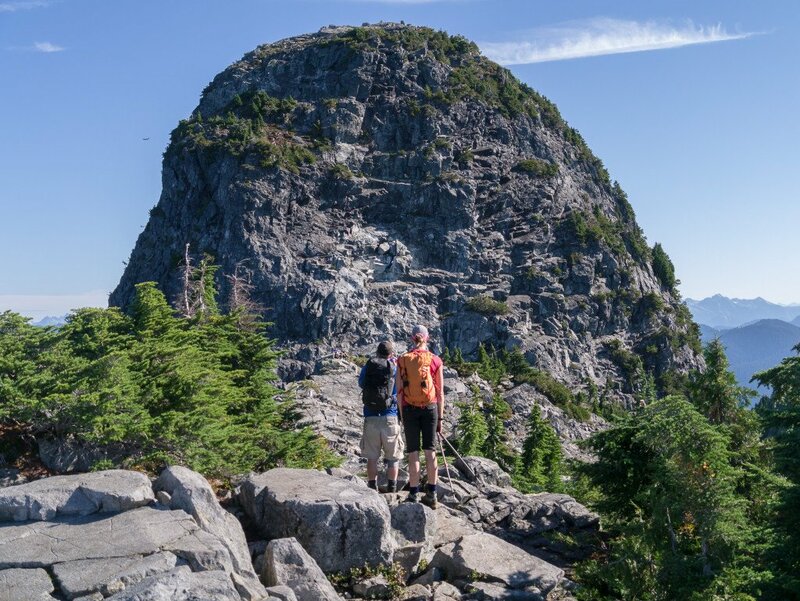 The other peak, the East Lion, is out-of-bounds as it lies within the Greater Vancouver Watershed, so climbing it is not allowed. If you are interested in visiting the Lions, you have two options in how you wish to hike there. You can park at Cypress Bowl, just outside of the Cypress Mountain Ski Resort and approach the Lions via the Howe Sound Crest Trail. This approach is scenic but tough as it ascends up and over several bumps and minor summits, two of which being St. Mark’s Summit and Unnecessary Mountain. The other approach, which is usually the more popular of the two, and the one that I personally used, is to drive up to the end of Sunset Drive, to a large yellow gate in Lions Bay and begin hiking from there. Parking is limited to only a few spots, so get there early or you’ll need to find parking further back down the road. Sections of exposed scrambling on the West Lion. The trail up from here is steep and sustained. 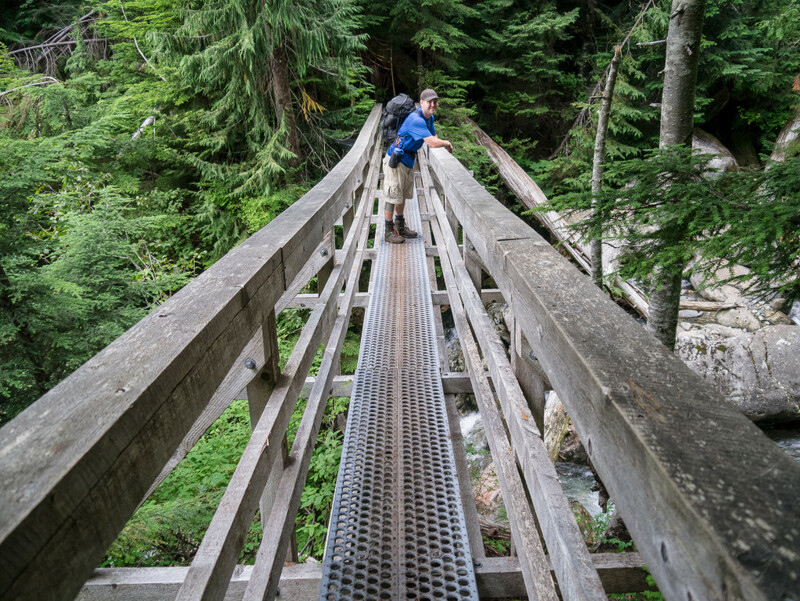 There are forks in the trail that lead to other destinations such as Mount Harvey and Brunswick Mountain but in general, as the Lions is the most popular hike in this area, it is signposted well. If you want more detailed directions, refer to the “resources” section below for guidebook recommendations. 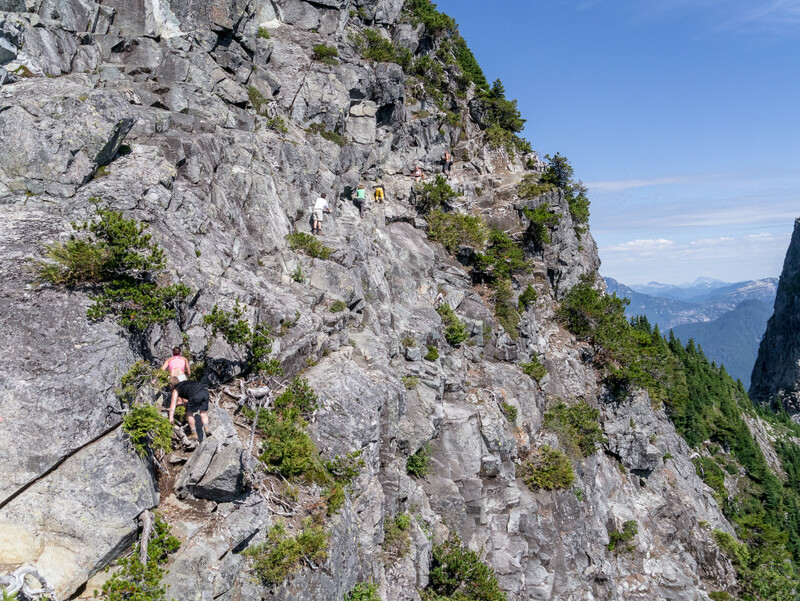 The trail travels through dense forest before crossing over large boulder fields below the West Lion, and eventually tops out on a ridge crest and a junction with the trail from Unnecessary Mountain. From here, it is a short hike and scramble up to a sub-summit directly below the West Lion. 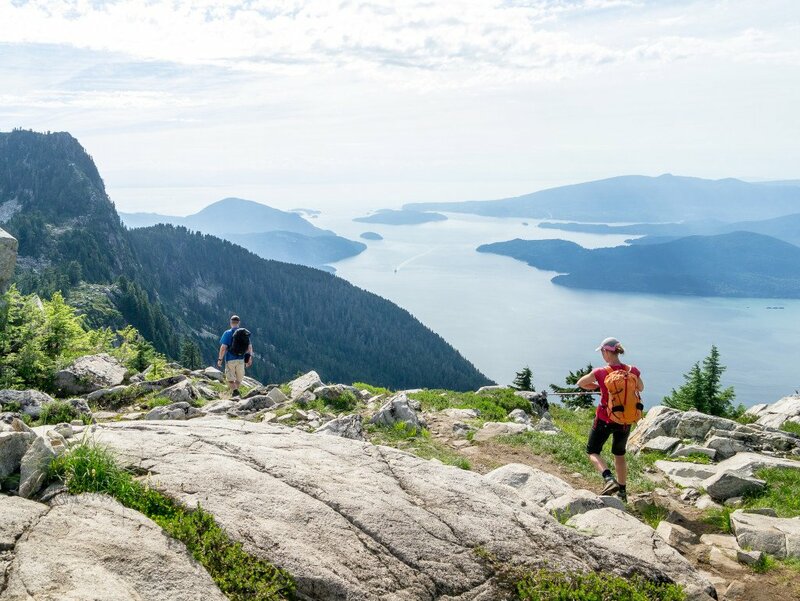 This sub-summit offers expansive views of the Lions, Capilano Lake, Greater Vancouver, Howe Sound, and on a clear day, Vancouver Island. For most hikers, this should be the destination for their day. The West Lion from the sub-summit viewpoint. If however you are experienced in climbing and mountaineering, you can proceed from here up to the summit of the West Lion itself. I must reiterate that prior climbing experience is needed before attempting to go further than the sub-summit below the West Lion. While the technical difficulty of getting to the summit of the West Lion is low and most will do it without ropes, the consequences of any falls or slips is extremely high. Wear a helmet as there is still loose rock on the route and, due to its popularity, you will likely have people scaling the rocks above you. 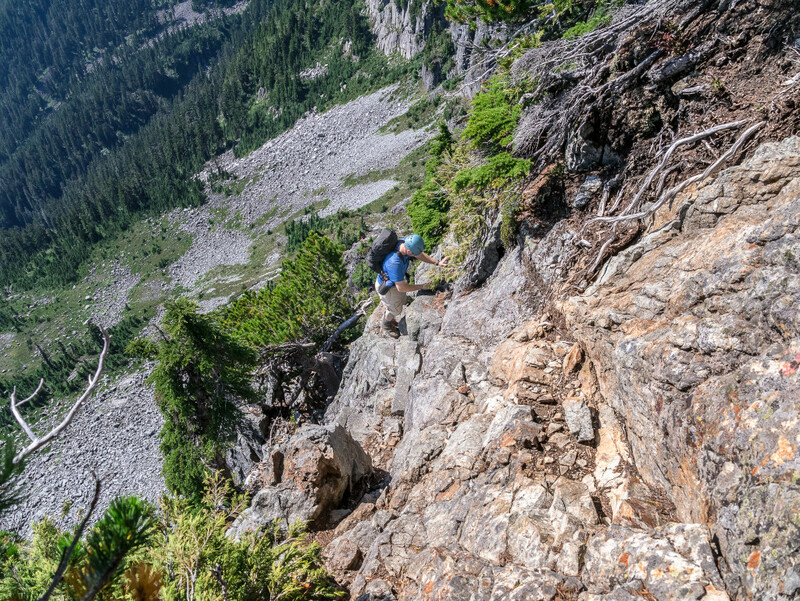 Proceeding beyond the sub-summit requires downclimbing some steep rock into a notch in the ridge before traversing on exposed slabs that slope downhill. From here, ascending higher requires scrambling with hands and feet upwards, following guidance markers before topping out on the summit. A rope to aid in down climbing into the notch at the sub-summit. Individuals on the slab traverse on the West Lion. Sometimes individuals will install ropes through the difficult sections of the climb, but these have been known to get removed or become worn and frayed over time. If you feel you will need the assistance of ropes for handlines, then definitely do not attempt to reach the summit of the West Lion. 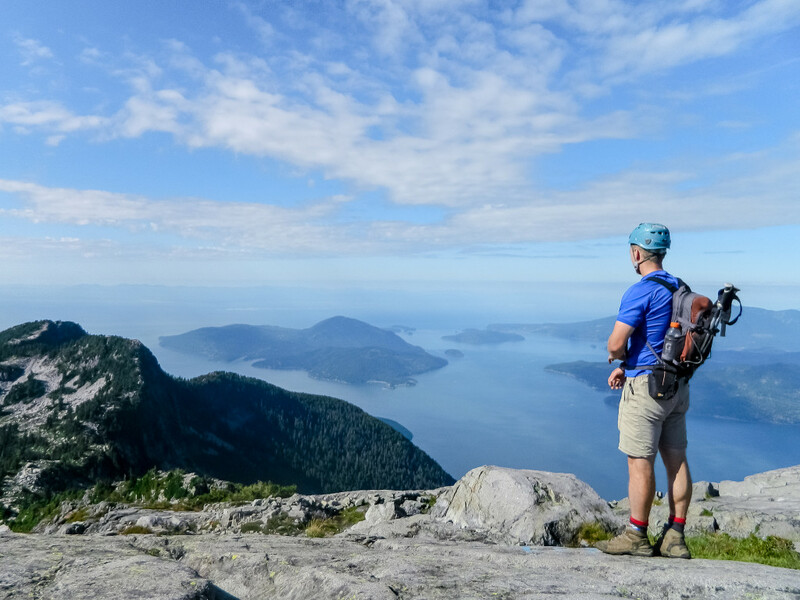 From the summit climbers and mountaineers can look northwards towards the head of Howe Sound, the Tantalus Range and the mountains of Garibaldi Provincial Park, such as the Black Tusk and Mount Garibaldi itself. Looking out on the Howe Sound from the summit of the West Lion. Looking out on the East Lion from the West Lion’s summit. The hike back down to the car will feel long, so be prepared. It is also hard on the knees due to the trails steepness, so bring hiking poles if needed and definitely set this objective as one to visit later in your hiking season when your legs are stronger. Hiking to the sub-summit is highly recommended for everyone, and for those experienced in mountaineering, continuing to the summit of the West Lion can be a challenging but fun objective for the day. The return hike from the West Lion.